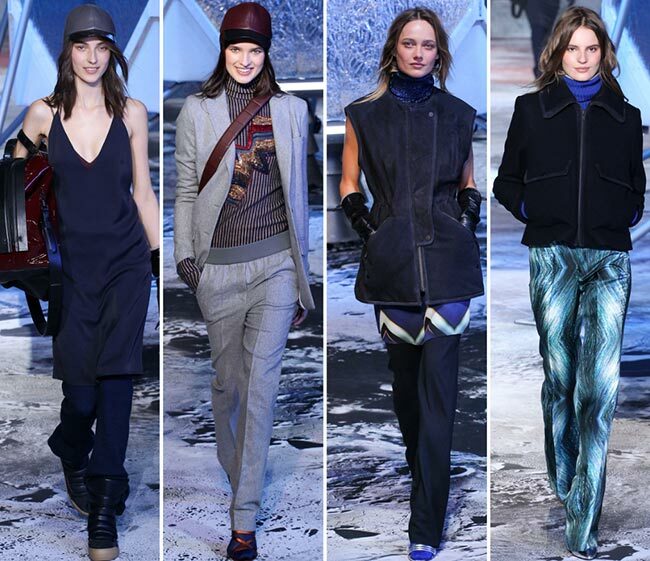 The moon is the runway and the sky is the limit when it comes to the excitement and creativity we experienced during the H&M Studio fall/winter 2015-2016 collection presentation tonight in Paris. 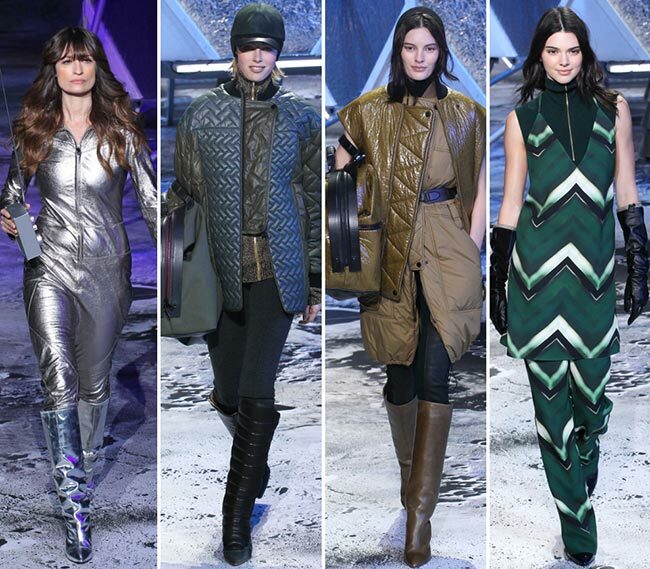 Turing the iconic Grand Palais in Paris into a space station with lots of blue lights illuminating the hall, the Swedish high-street retailer sent out an array of comfy and cool clothing pieces and accessories inspired by the space, the metallic surfaces and the rockets. 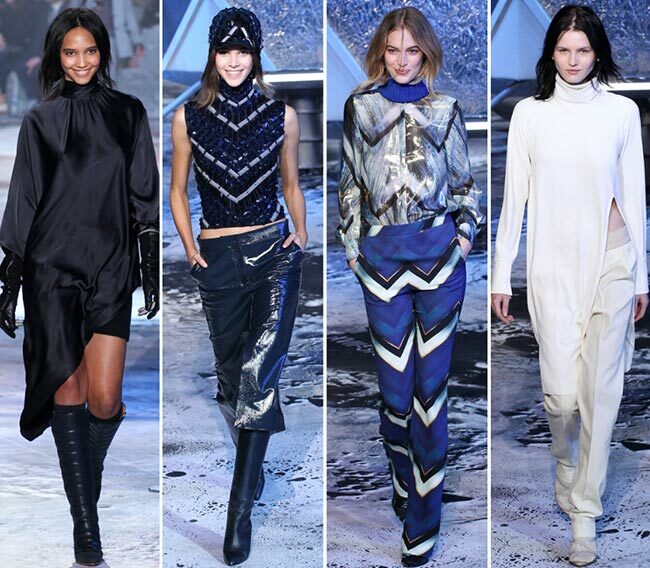 With A-list supermodels walking on the runway including Kendall Jenner and Gigi Hadid, and a star-studded front row with Solange Knowles stealing the spotlight, it was a real show, one of the best we have witnessed during this Paris Fashion Week fall 2015. The overall atmosphere and the beautiful outfits unveiled did actually make us set off on an adventurous journey to the moon or to the planet of fashion! 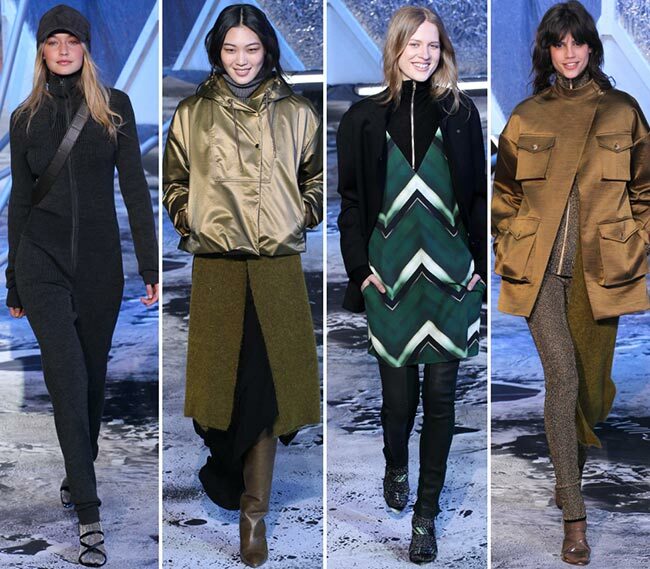 From the color palette and patterns used to the amazing silhouettes and layering techniques, the H&M Studio fall/winter 2015-2016 collection showed a powerful mishmash of sporty chic, glamorous and classy styles, which never lacked functionality and versatility. These are clothes you can immediately take from the runway to the streets, looking effortlessly chic without trying too hard. The same effortless attitude was present in the beauty looks of the models featuring easy center-part waves and a very natural makeup that looked so fresh and ideal for daytime wear. H&M is one bright example that you can build up a fashionable wardrobe without spending an entire fortune on designer pieces. It caters both to the youthful fashion savvy girls and the elite class with its fashion-forward designs, so no wonder it’s the favorite brand of the supermodels that walked today on the runway, the celebrities on the front row and us commoners, who can’t help checking out what’s in and what’s out every time we pass by a H&M store. 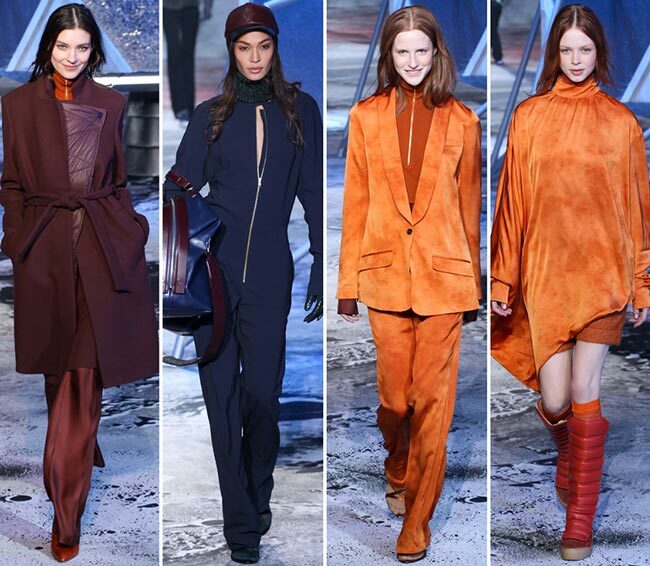 And we have to admit that we once more fell in love with the brand’s aesthetic at the sight of all those khakis, blues, browns, whites, burgundies, burnt oranges and reds, as well as the cavalcade of space-inspired futuristic textures, materials and patterns making each and every look presented overly exceptional and coveted. 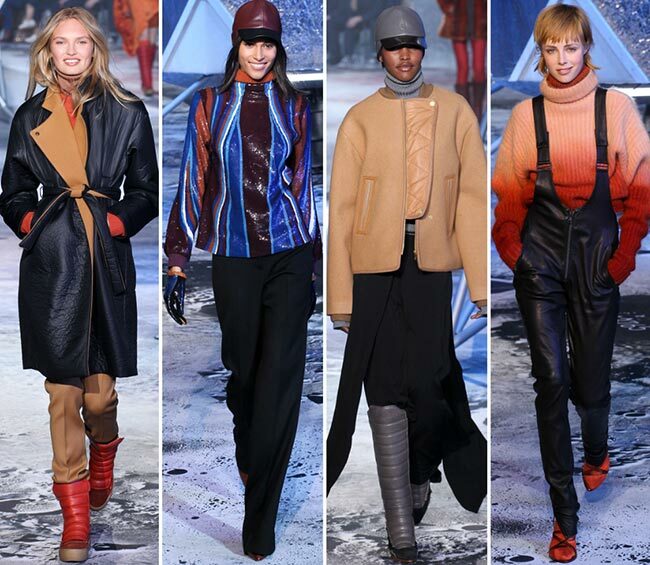 From the very beginning of the show we realized that the focus was placed on strong and functional outerwear, ranging from oversized sporty jackets to elegant coats, vests and blazers coming in a myriad of autumn-ready shades. There were also lots of warm turtlenecks, some featuring interesting zip-up details for the modern feel, as well as perfectly tailored suits for those updating their office wardrobes. Of course, we were treated to an interesting game of layering, when a printed summer-y dress came worn over the black turtleneck and the skin-tight black pants, finished off with a black jacket and sandals worn with thick socks. 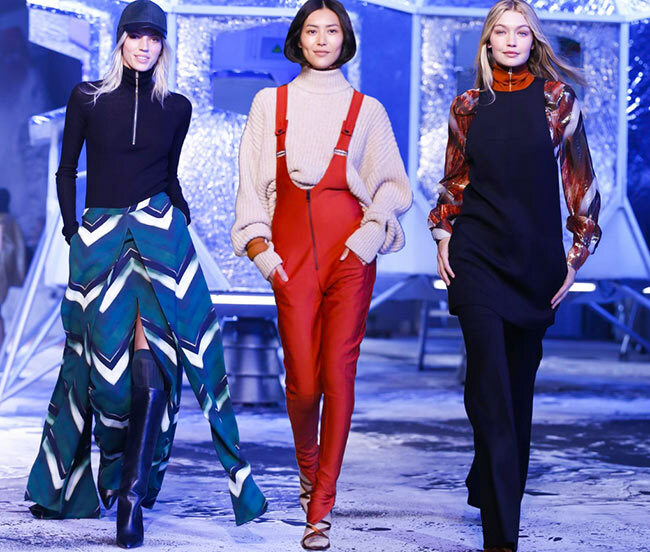 It was like juxtaposing summer-ready pieces with warm fall style staples, and we saw the same interesting idea exercised throughout the collection. 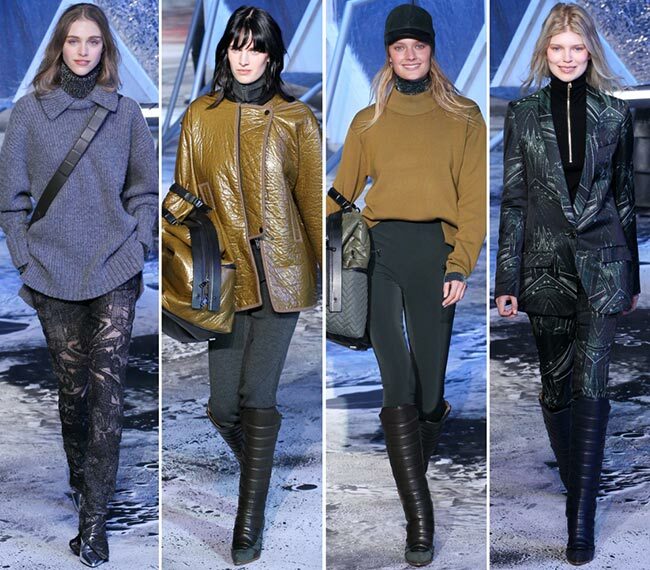 From zip-up jumpsuits and tunics with side slits worn with oversized tailored pants to chunky knit sweaters and printed maxi skirts with high slits up on the front, as well as sequined tops and lacquered skirts and jackets, the new H&M Studio fall/winter 2015-2016 collection brings the same diversity to the scene as we always encounter entering their stores. 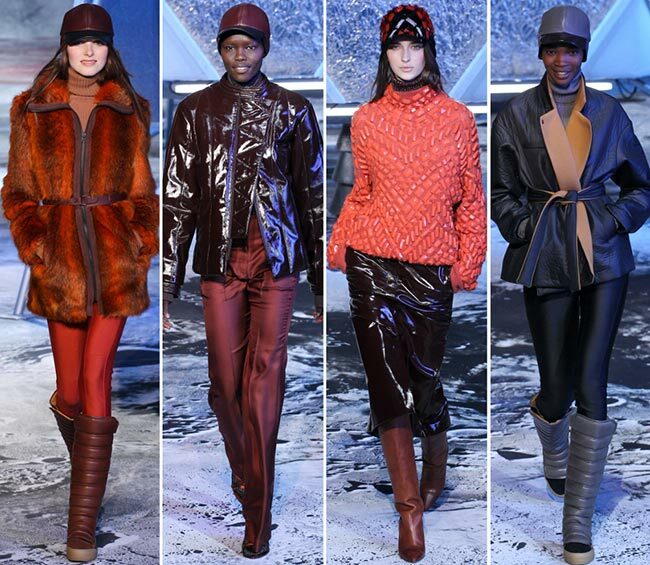 And when it comes to the accessorizing details, think oversized bags, big quilted boots and classic heeled ones, sandals worn with socks, sporty caps and leather gloves. We did love this journey to the space and we can’t wait to get our hands on these covetable goodies come fall!